The EU-backed 48-month SYMPLEXITY project that ended at the end of last year has the aim of developing “totally new possibilities for [robot-human] collaborative working environments for polishing tasks”. The project is fully described by its longer title: Symbiotic Human-Robot Solutions for Complex Surface Finishing Operations. As it is observed, polishing techniques are employed in nearly every sector, but often the only option is a manual approach. SYMPLEXITY builds on three previous EU-backed projects: COMET – Plug-and-produce COmponents and METhods for adaptive control of industrial robots; SAPHARI – Safe and Autonomous Physical Human-Aware Robot Interaction; and poliMATIC – Polishing processes and tools development. This work developed capability to technology readiness level (TRL) 4-5 (small-scale prototype tested in a lab/large-scale prototype tested in the intended environment). SYMPLEXITY will deliver a TRL7 result – a demonstration system operating in an operational environment at pre-commercial scale. Two cells have been developed as part of this project: one brought together by Italian system integrator SIR (one of the largest and most well-known industrial robot system integrators in the country) that included both abrasive finishing and fluid jet polishing as well as surface metrology (video: https://is.gd/equtuy), plus a second brought together by Gizelis Robotics that employs laser surface finishing. Gizelis is part of a group of companies that is the largest manufacturer of press brakes, shearing and plasma cutting machines in Greece. While Autodesk technology is applied across both cells, it is the former with which Autodesk senior researcher & innovation engineer Franck Messmer has been involved, with the France-based expert having played a leading role in SYMPLEXITY for Autodesk, in fact. As he underlines, the three central elements are polishing, human-robot collaboration and, of fundamental importance, safety. The latter is the more important because this project makes use of both traditional robots not only cobots that already have safety systems relating to human/robot interference. And it is the abrasive finishing and fluid jet polishing set-up that employs a traditional robot, an ABB IRB4600-60-2.05 (60 kg; 2.05 m). The polishing tools, wheels and pastes are traditional, but developed elements have taken in: gesture-type human-system communication for things such as opening/closing doors and cycle start; a camera-based system able to track the location of people within the working environment (Sapienza University of Rome); toolpath generation capability for the polishing tools/metrology system (Autodesk); laser interferometer-based surface metrology system measuring to nanometres (Sweden’s QISAB); execution software that takes in machine learning capability (University of Modena and Reggio Emilia); and, finally, courtesy of Autodesk, IoT capability that sees the cell able communicate with people via email when certain events occur, such as cycle end. The actual selection of tools, number of passes per tool and mount of pressure is proposed by the programming system, taking the Autodesk toolpaths as the set basis. University of Modena and Reggio Emilia has developed a type of machine learning software that draws on a library of surface finish images and related tooling relevant to achieving the finished surface with reference to the starting surface. This knowledge is applied at the start and during the process as the surface is measured in process. The QISAB CWS views a 4 by 4 mm area, taking a reading every 2 mm along a toolpath. This is done at the start, prior to polishing, and at stages during the polishing process to monitor progress toward the desired result. 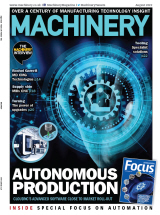 Depending on the measured result and the desired surface finish, the machine learning-based system may change tools, the number of passes and pressure setting for follow-on processing. In that sense, the system is adaptive. The system works, Messmer assures, it is just a matter of refining process parameters: “We can polish, yes, the main issue is to discover the best process parameters, which tool, which pressure, which speed or feed rate. We can measure, but we need to know when we can stop polishing and that is where humans come in. When a person is looking at the part and a reference surface, they can see whether the polished part is correct or whether more polishing is required. But it is quite difficult to do with a robot or machine. We have the metrology data about the surface, but people use eyes, touch and feel to get feedback. “To view the measured data on screen, you have to go out of the cell. So, we wanted to bring this data into the cell and merge the two worlds, putting data on the part. This move was user driven, the researcher underlines, because for, say, a car bumper mould tool, there is no minimum industry standard for surface finish, while what looks okay to one person does not look so to another. “So, if we are able to map the data that you measure with what people think, we should be able to define some sort of logic and standard,” he says. This approach, which was not initially part of the SYMPLEXITY project but an Autodesk initiative, is demonstrated at Autodesk’s Birmingham facility in a robot polishing cell set up there, too. Not developed yet is any process that would allow the cell operator to indicate via this AR system any areas to be repolished, but it is not considered to be a big problem. Already voice control is used in conjunction with quality data reviewing to select ‘next’ or ‘previous’ areas, and it is suggested that this approach, even gestures, might also support selecting areas for repolishing. The abrasive/fluid jet polishing machine will be located now at Fraunhofer IPT, Germany, for the next two years, or so, in support of abrasive polishing research. So, at the company’s Birmingham technology centre, polishing as part of a CNC machining process is going to be investigated in an effort to develop relevant associated knowledge. 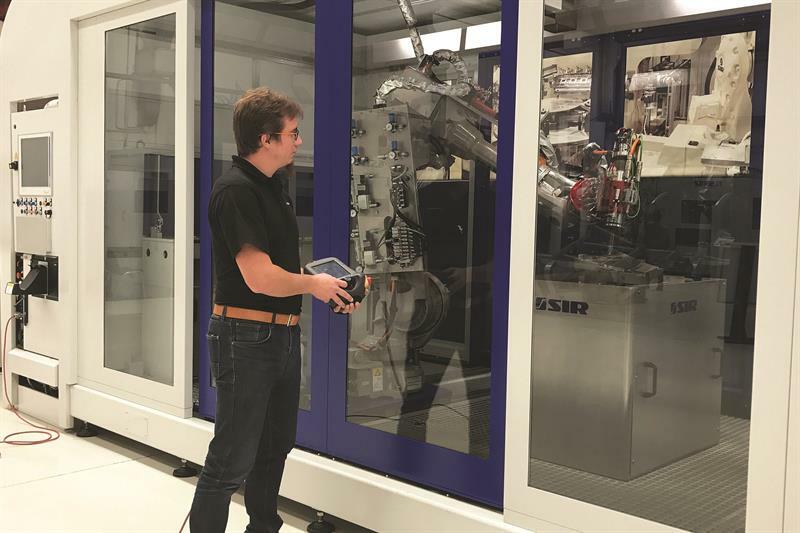 “So, hopefully in the future there will be a milling machine that can also perform polishing and quality assessment, why not?” Messmer concludes.